“Run for the Rocks 5K” & "Bullseye Bonus 4K"
Run for the Rocks 5K - 2:04 p.m.
Bullseye Bonus 4K - 3:04 p.m.
WHERE: Rock Eagle 4-H Center- located just off Hwy 441 between Madison and Eatonton GA. Race is on main campus inside security gate. http://www.rockeagle4h.org/ Paved roads- Rolling hills-Beautiful setting. Register at the GAEMC/Senior Pavilion. REGISTRATION: Run for the Rocks 5K $20.00 if received/postmarked by Nov 1, 2018. Race day fee is $25. Bullseye Bonus 4K $15.00 if received/postmarked by Nov. 1, 2018. BOTH RACES $30.00. Registration is available at active.com. Registration begins @12:44 PM race day. Online: Active.com. Note the Run for the Rocks is also included in package of races for the Dawg Days of Summer in Winter Series. Use this form if you are registering for the Run for the Rocks and/or Bullseye Bonus 4K races ONLY. 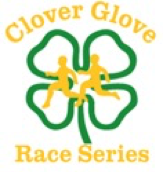 See Dawg Days Races at http://www.cloverglove.com for more details on the Dawg Days Series. PROCEEDS: The proceeds from the race will benefit Georgia 4-H supporting scholarships, programs, and projects for Georgia’s youth. The Georgia 4-H Foundation is a 501(c)3 charitable organization.